User Interface Design and Mockup Design of Native Mobile App. 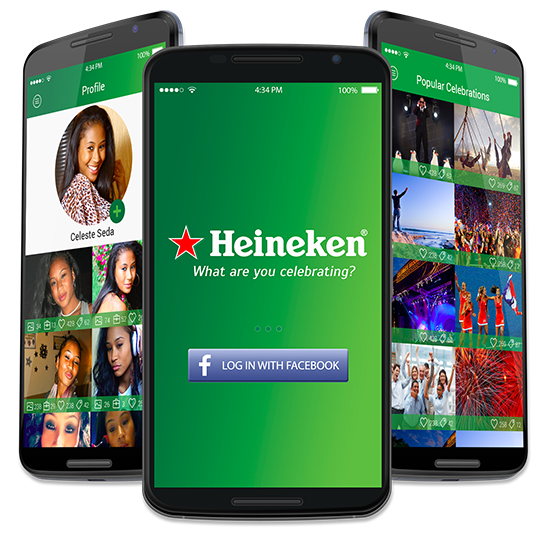 The purpose of this app is to allow customers of Heineken to take a photo with the app, tag the photo with what they’re “celebrating”, and allow them to share those wonderful celebratory moments with their other friends on social media. Additional features include finding other friends that are close by to potentially join in on their “celebrations” or they come to join in on your “celebration”. Overall, the functional experience behind this app is to download it and begin using it as quickly as possible. The initial version of the app will allow users to login with their Facebook accounts because the overlying basis of the app will work best within the Facebook algorithm system. After the one-click verification the idea is to immediately be able to use the app without any setup. 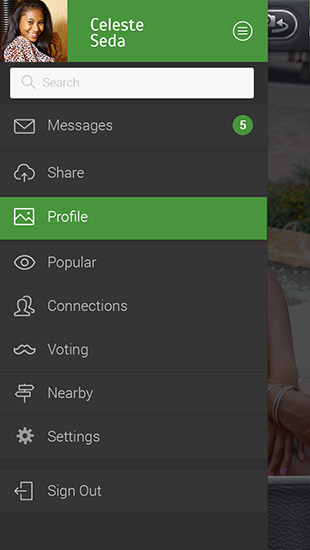 The menu allows the user to utilize the functionality of the app by checking messages, sharing photos, viewing and editing their profile, seeing other popular “celebrations” around the world, viewing profiles of their friends that use the app and to see which of their friends are close by so that they can celebrate together. The sharing function is the heart and soul of the app. 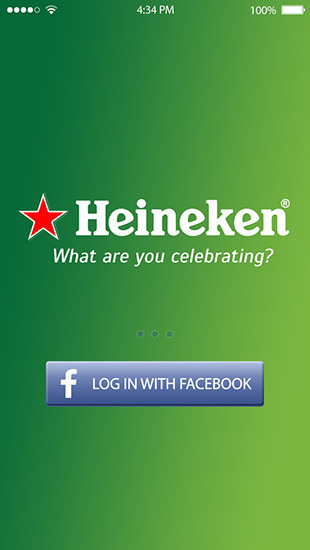 Once a user takes a photo a modal window pops up on the app to ask “What Are You Celebrating?”. The user then types in their “celebration” and then presses the “Upload To Facebook” button. Once the user types in the special event that they’re celebrating and presses the “Upload To Facebook” button the app transforms their input into a hand-written font that displays nicely on top of the photo and then uploads the photo to the user’s Facebook timeline. If this is the user’s first post from the app, the app will create a “celebrations” album and place the photo there. 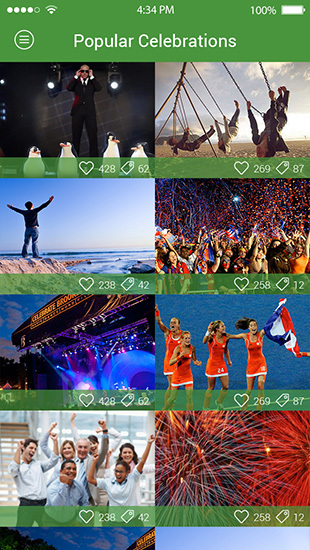 The new photo, as well as all subsequent photos, will be visible within the user’s profile within the app. The user’s profile will house all photos taken within the app. In addition each photo will show the total amount of votes received for likes, views, favorites, and tags. The connections page has a hierarchy of the most recent photos taken from within the app for all users. This page also includes the total number of votes for each user’s photo based upon likes and tags. A user can click on each photo to view the owner of that photo’s profile. The connections page shows a lists of the user’s friends that also use the app. From this screen the user can click on the photo of one of their friends to view their profile as well as the photos that the user’s friend has taken with the app. 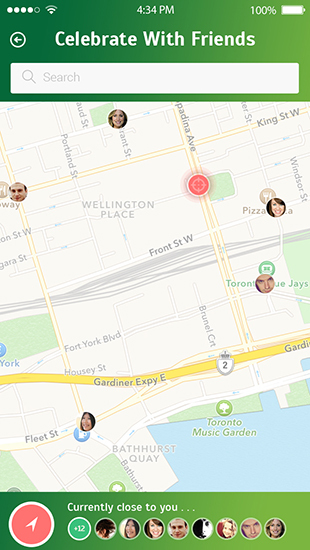 The app will utilize GPS to show where all of your friends are currently located as well as where they are currently celebrating.